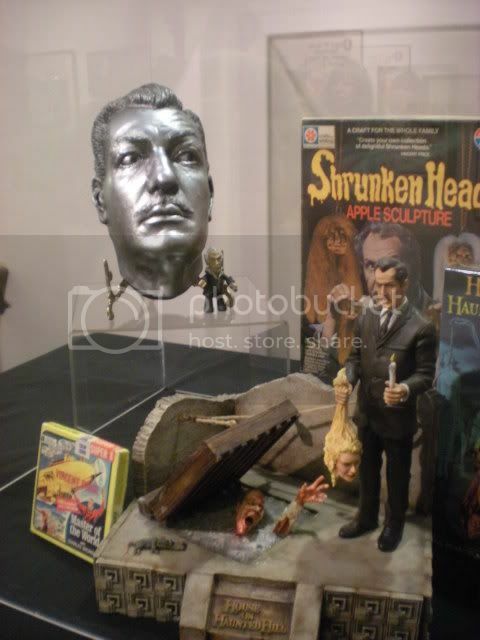 As you may remember from this post, I am a huge Vincent Price fan, so I'm very excited to tell you about all the goings-on for his 100th birthday this year! 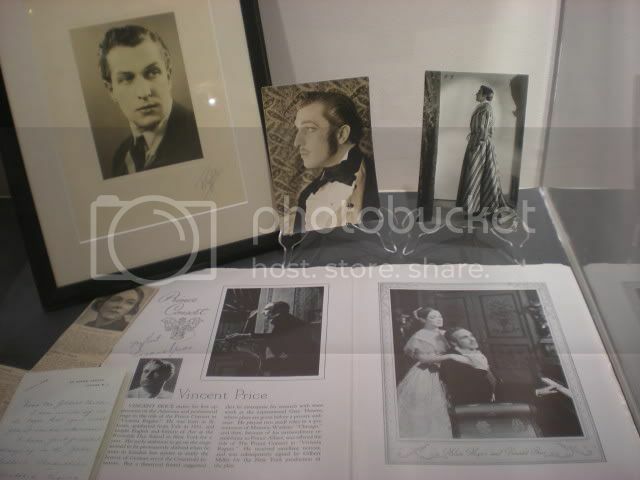 First, we have the Vincentennial: The Legacy of Vincent Price exhibit at the Sheldon Art Galleries, which opened last Friday and runs through August 6. 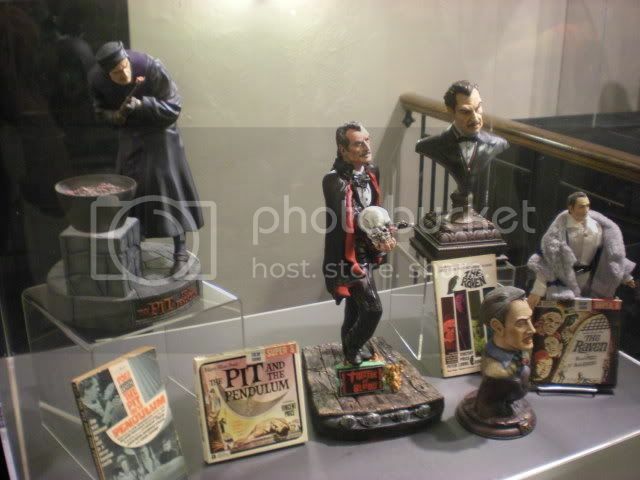 It features Vincent Price memorabilia from collectors all over the country. I recommend reading that We Are Movie Geeks article for more information, since, as the curator, Tom Stockman, covers all the detail better than I could. 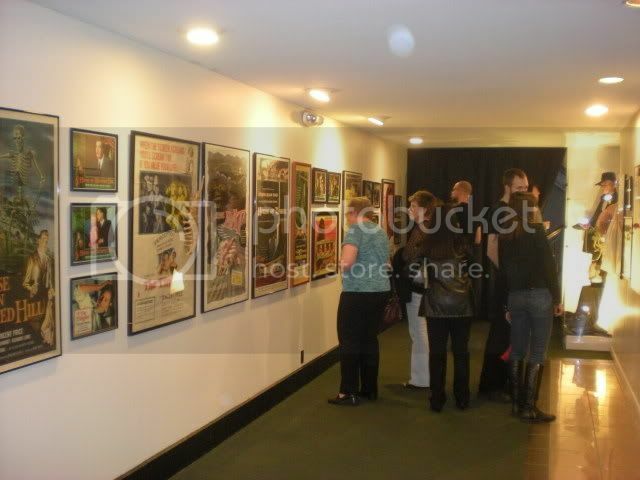 The pictures in this post are from the exhibit opening, which was a great time despite the tornado warnings. Good thing the exhibit is in the basement! 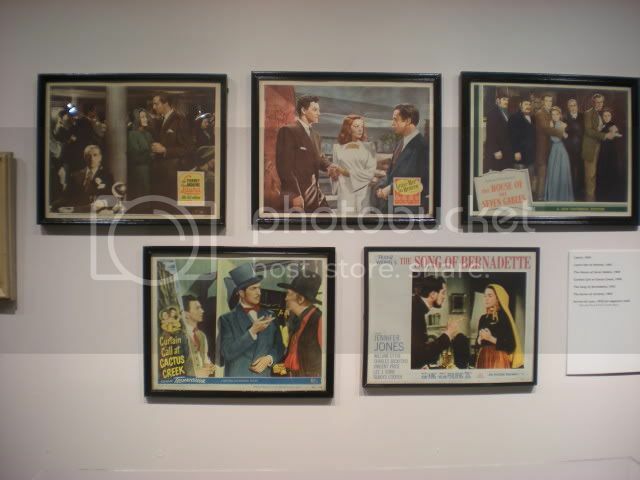 Next, VINCENT PRICE PRESENTS opens at Star Clipper Comics in the Delmar Loop on Friday, April 29 and runs through June 29. There doesn't seem to be any information on their website (*ahem*) but I can tell you that the exhibit consist of paintings and illustrations of Vincent Price by many St Louis based artists. The featured artist is one of my favorites, Joel Robinson, who did the covers of the VINCENT PRICE PRESENTS comic books and the Vincentennial logo. I have one of his Vincent Price prints hanging in my living room. The opening reception is this Friday night from 7-9pm, and most of the art and some prints will be for sale. Also, free beer. 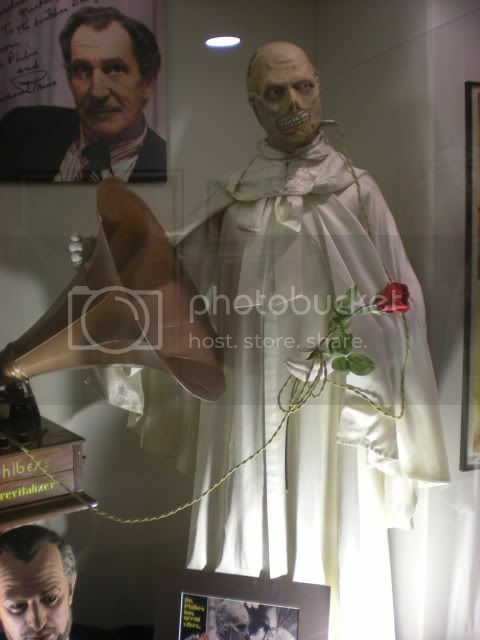 In honor of Vincentennial, this year's Magic Smoking Monkey Theater production will be DR PHIBES IN 3D! I never miss MSMT and already have tickets for opening night. You should buy tickets now. I promise your face will hurt from laughing when you leave. Bonus event with the 10:30 performance on May 13: Tom Stockman will be screening The Super-8 Vincent Price Movie Film Fest in 3D! And finally, the main event: The Vincentennial Film Festival, which will screen 20 of Vincent Price's movies from May 19-28 at various theaters around St Louis. You can find the full schedule of events and locations at the website. Let's talk about the parts I'm most excited about. First and foremost, The Tingler, showing on Friday May 20 (9:30pm) and Saturday May 21 (midnight) at the Hi Pointe Theater. I am also a huge fan of William Castle, and this screening will feature a version of Castle's Percepto gimmick! This could be your only chance in life to experience this! There will also be several of director Roger Corman's films screened at the Hi Pointe (unless otherwise noted), including The Pit and the Pendulum (May 21, 5pm), The Tomb of Ligeia (May 21, 8pm), The Raven (May 22, 12:30 pm, at Missouri History Museum), House of Usher (May 22, 5pm), and Masque of the Red Death (May 22, 8pm). For Tomb of Ligeia and Masque of the Red Death, Roger Corman himself will introduce the movie and do a post-film interview. I wish I could see all 20 movies in 11 days, but unfortunately that's not possible. Several people have asked what I would pick if I had to pick three, and I think my answer is The Tingler, Masque of the Red Death, and The Last Man on Earth. HOWEVER! Those people were asking based on ticket budgets, and there are many free events! So if I can pick three more free ones, I would say that you should also make time for the double features of The Raven and The Abominable Dr Phibes at Missouri History Museum's Lee Auditorium on May 22, The Whales of August and the documentary Vincent Price: The Sinister Image at Washington University's Brown Hall Auditorium on May 25, and the outdoor screening of Edward Scissorhands with Tim Burton's animated feature Vincent at the Muny's Bank of America Pavilion on May 28. And if you are really interested in Vincent Price, I recommend the lecture by his daughter, Victoria, author of Vincent Price: A Daughter's Biography. She will be speaking at Lee Auditorium on May 27 at 7pm. I think that's my final answer. 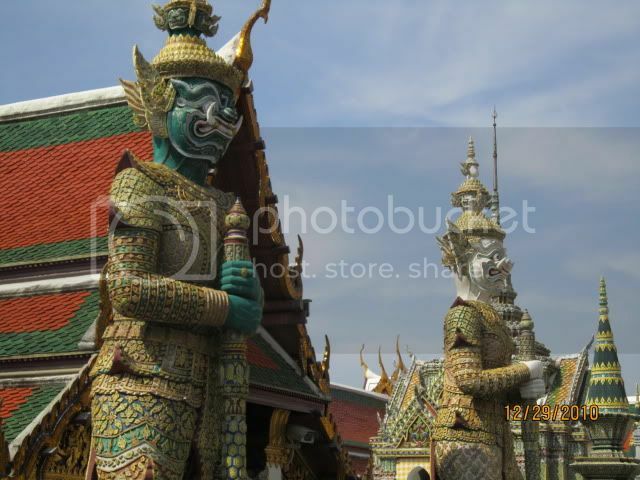 This week we revisit Thailand, as I know someone in Bangkok this week who will not have much time for sightseeing. Unfortunately, it's very crowded with private tour groups and it wasn't always easy to understand our guide, so a lot of this I'm going to have to pull off the internets. All of the pictures were taken by my dad and me. 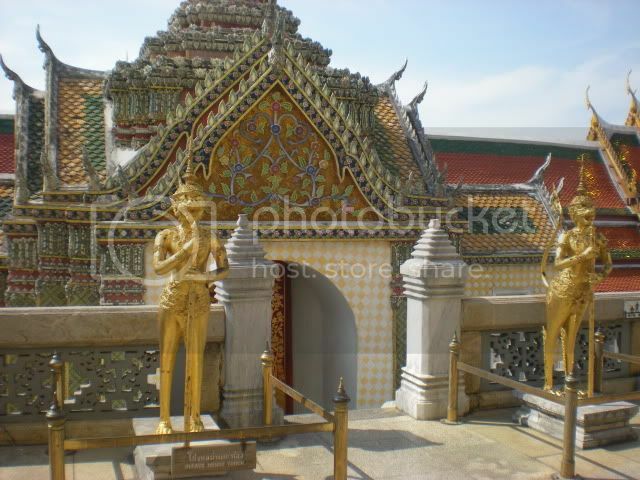 Wat Phra Kaew, or Temple of the Emerald Buddha, is the most sacred Buddhist shrine in all of Thailand. It is actually a collection of 100 buildings of all different styles of architecture covering 234 acres of land. I had 83 photos to whittle down when I started this and not one of them could convey the scope of the compound. 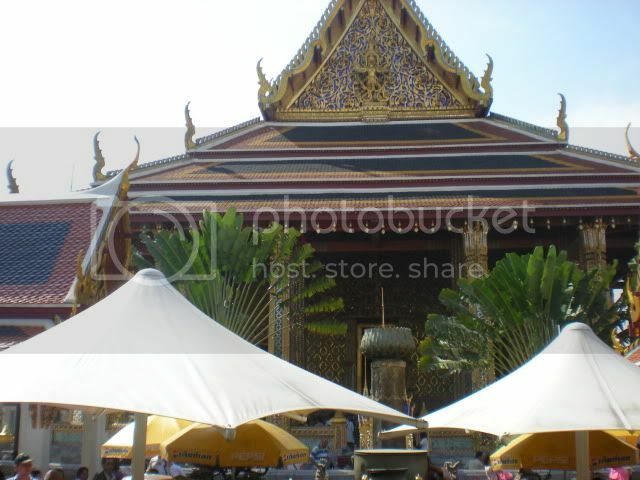 The above picture is the best, but is mainly just Phra Sri Ratana Chedi, which is a stupa that houses a piece of the Buddha's breastbone, and the Phra Mondop library. In the foreground you can also see one of the twelve pavilions where scholars would chant the Jatakas, or stories of the previous lives of the Buddha, on important days of the Buddhist calendar. Above is a better view of Phra Mondop, the library built by Rama I, which houses the Tripitaka, or sacred Buddhist manuscripts. 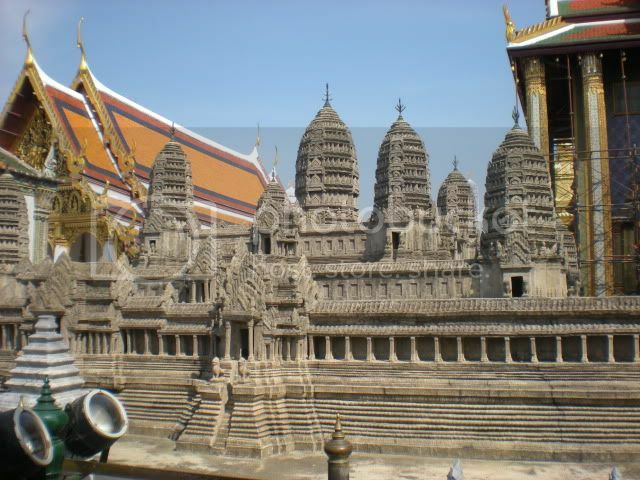 Next we have the Prasat Phra Thep Bidom, which means Shrine of the Celetial Ancestors, also known as the Royal Pantheon. 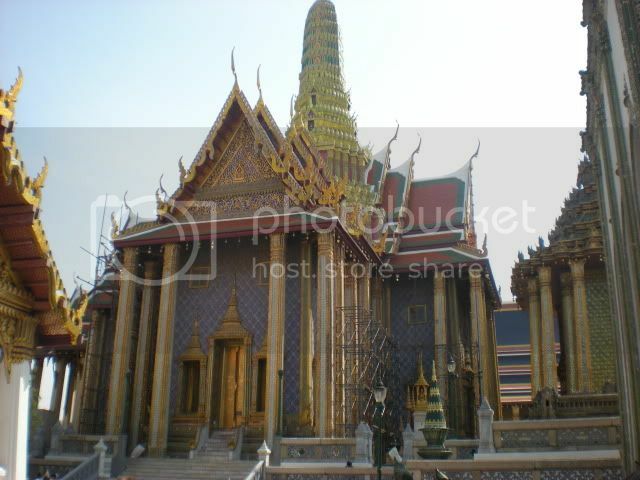 It was built by Rama IV to house the Emerald Buddha, but was not completed until after he died. 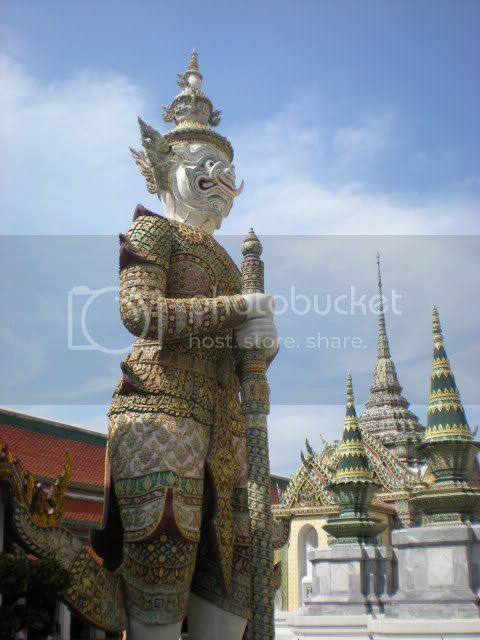 Rama V thought it too small for royal ceremonies, so instead it houses life size statues of Kings Rama I-VIII. 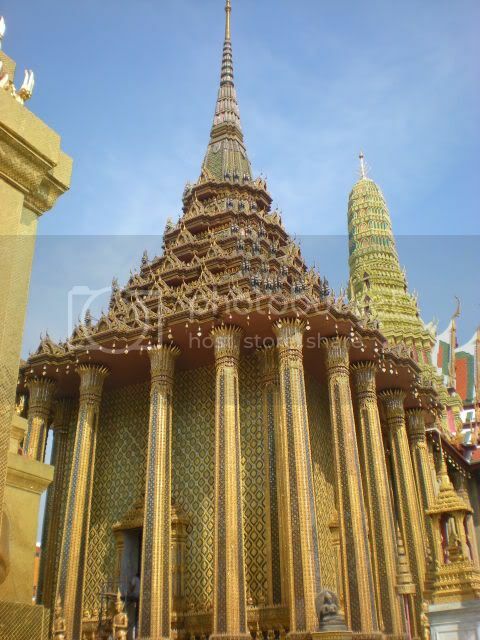 This building is only open once a year on Chakri Day (the Kings Rama being the Chakri Dynasty), April 6. 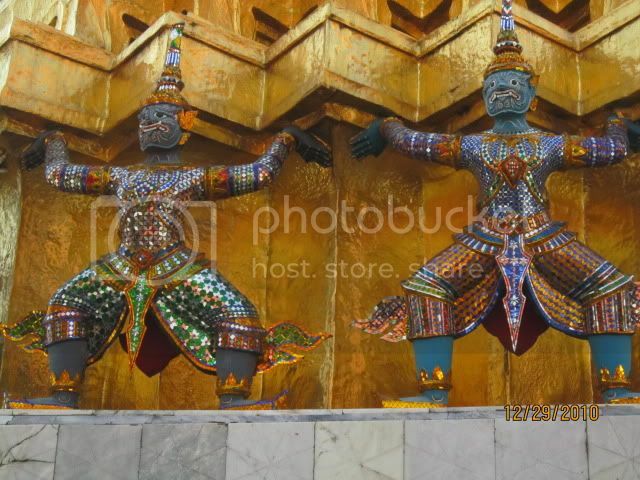 Next we have one of the two Golden Chedis built by King Rama I to honor his father and mother, with a close up (below) of the figures from the Ramakien (more on this in a minute) supporting the Chedi. Before we get to the Ramakien Gallery, let's talk about some of the mythological figures located throughout the grounds. 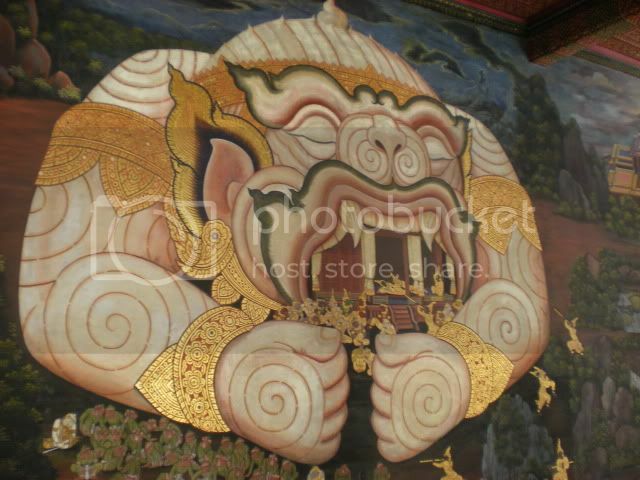 Above is my favorite, the Nok Tantima guarding the Phra Viharn Yod (or Phra Wihan Yot). 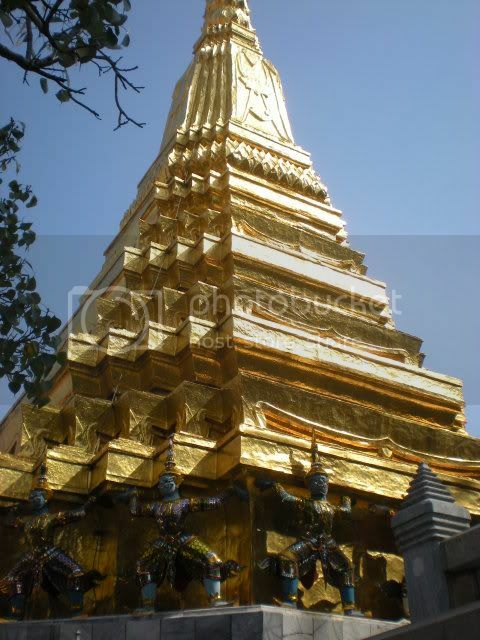 The building houses the Phra Nak Buddha image. 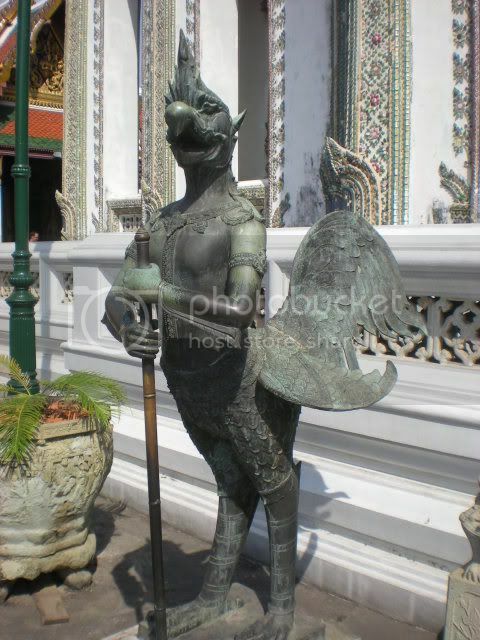 The Nok Tantima, or Tantima Bird, is a relative to the Garuda of Hindu and Buddhist mythology. I'm having a hard time finding names for some of these, so if anyone can clue me in, I'd appreciate the feedback. I'm 99% sure the above is a Singha, and below, I have no idea. I have ruled out apsornsi and kinnorn. The cool thing about the Singha, which is hard to see in the picture, is that it is carved from one piece of stone with a ball in its mouth that can roll around. 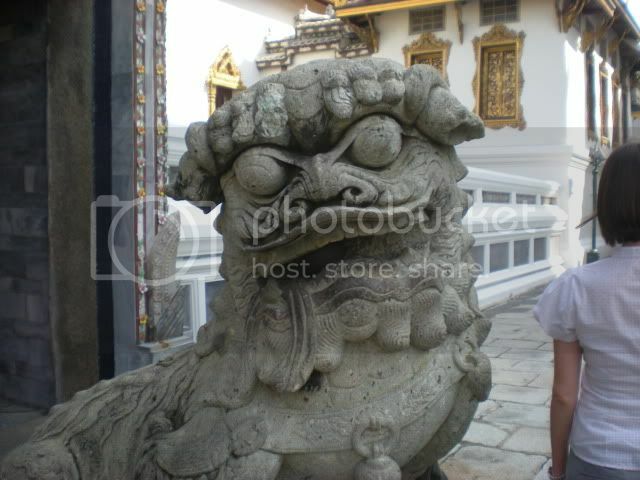 In China this would be called a Foo Dog. 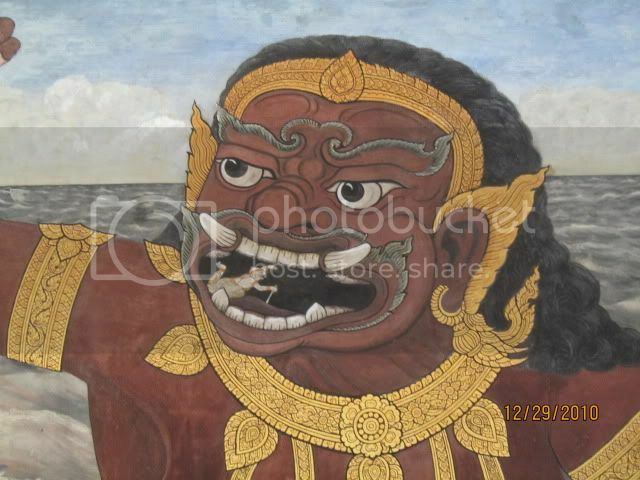 Standing guard at each entrance to the Ramakien Gallery are a pair of Yaksha Demons. 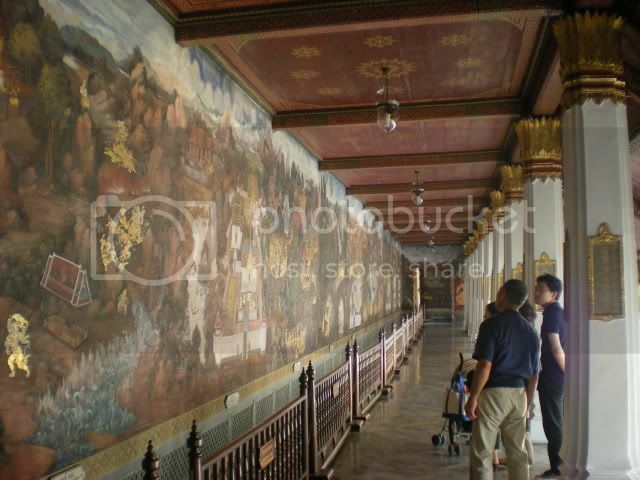 The Ramakien Gallery surrounds the entire complex and tells the story of the Ramakien, Thailand's national epic. The Thai Ramakien is adapted from the Hindu Ramayana, a collection of stories about the work of Hindu gods in the lives of man. 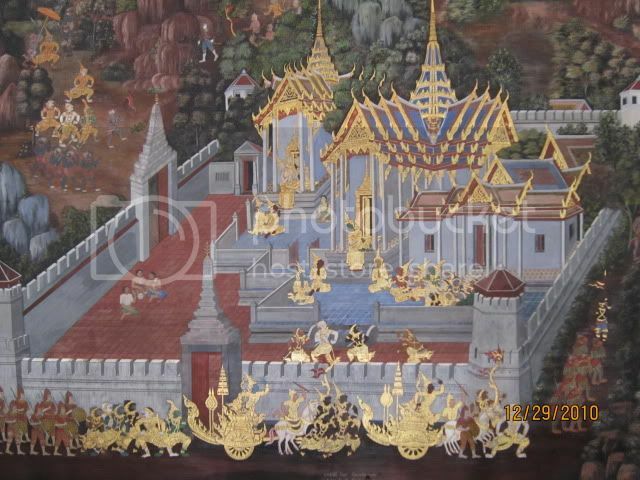 The version that Thai people recognize today, and that is illustrated here, was compiled, and even partially written by, King Rama I. The gallery is HUGE. Epic, in fact. Religion in Thailand, as you can see, is primarily of the Therevada school of Buddhism, but is also heavily influenced by Hinduism, which was picked up from Cambodia during the Sukhothai period (1238-1438 BC), and folk religion, as evidenced by the spirit houses found outside every building in Thailand. I love world religions and I'm on the edge of a major digression, so I promise to come back to spirit houses sometime soon. There are plaques that tell the story in Thai and English on the pillars around the gallery, but we didn't have much time to read them. 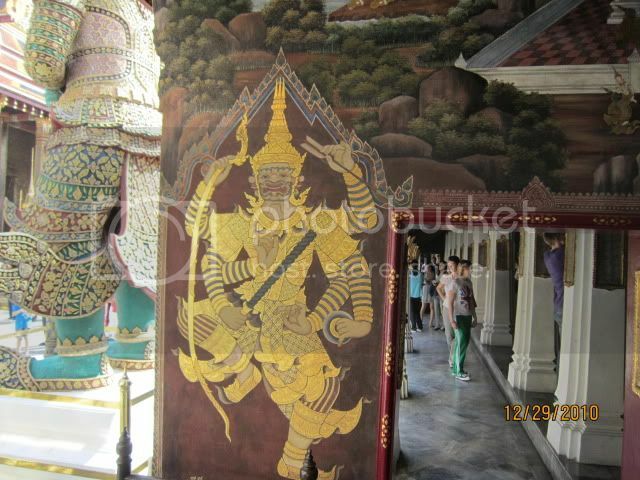 There were also several people working on touching up the murals, which is apparently a constant effort since this is all open-air and Thailand is very humid. 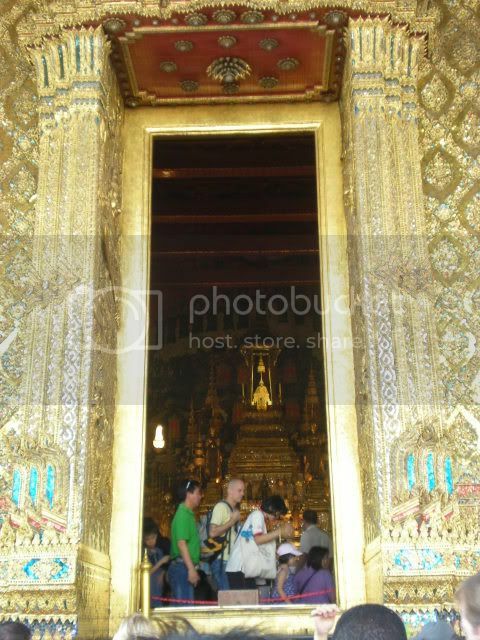 And finally, we arrive at the Temple of the Emerald Buddha itself. Ironically, I don't have a clear shot of the building, because it was absolutely mobbed by people and the area in front of the building is full of vendors. 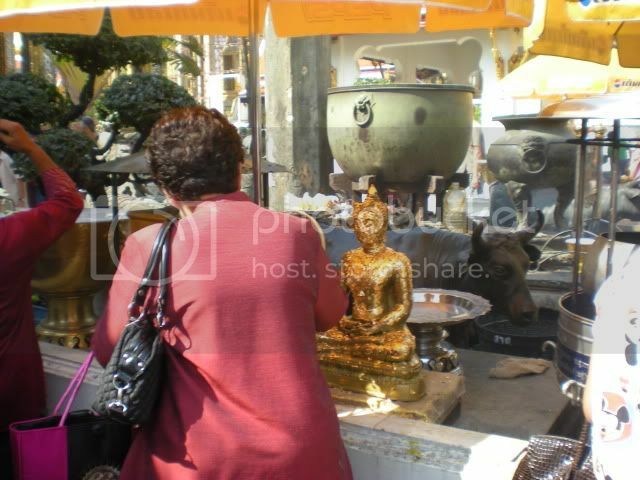 For a fee, you can dip a lotus blossom in water and add a piece of gold leaf to a Buddha statue. I know the lotus blossom thing is for good luck, but I'm not sure of the exact purpose of adding to the Buddha statue. The Emerald Buddha itself is very small, only 26", and is carved from a single piece of green jade. You cannot take pictures inside the temple, but you can go inside to look at it after removing your shoes. 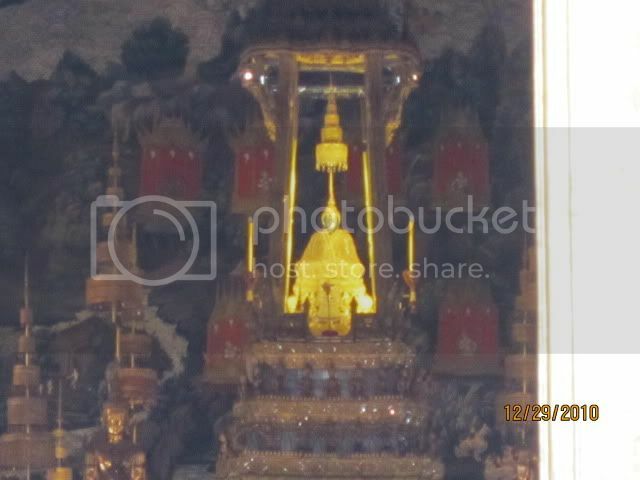 The Emerald Buddha has a different outfit for each season (Thai seasons being summer, winter, and rain) and the King is the only one allowed to touch it, including changing the outfits. Rama IX has been in the hospital for quite some time now, so I'm not sure how they are currently handling this. The Emerald Buddha has a long and complicated history prior to its arrival at its current location, which you can read more about at the wikipedia page for Wat Phra Kaew. Whew, I really hope I got all of this right. 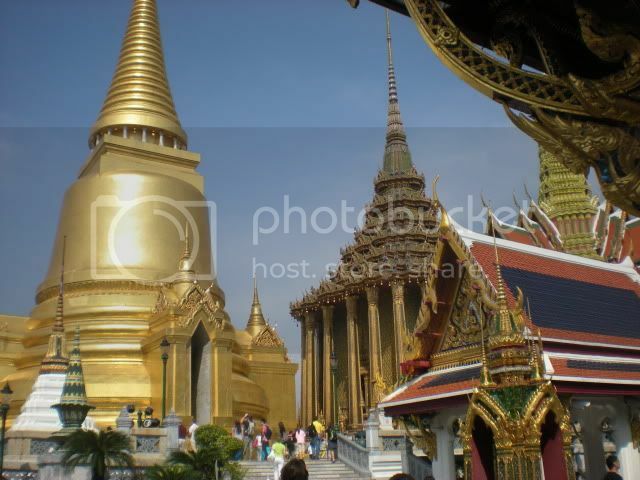 I want to thank this Wikipedia Commons Gallery and luxury-travel-thailand.com for helping me identify the buildings in my pictures. I hope you enjoyed the tour! I've been stuck being a homeowner the last few weekends, getting the garden ready for spring at all that. I hope to hit the road for some new stuff in the next couple weekends. 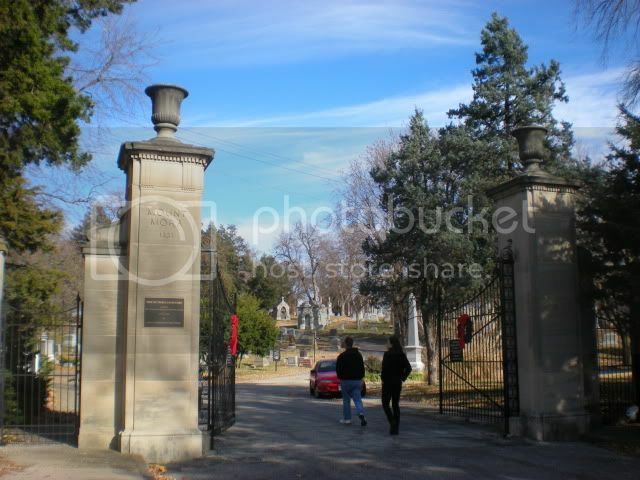 In the meantime, I wanted to share some of the pictures Keith and I took when we were in St Joseph last fall. 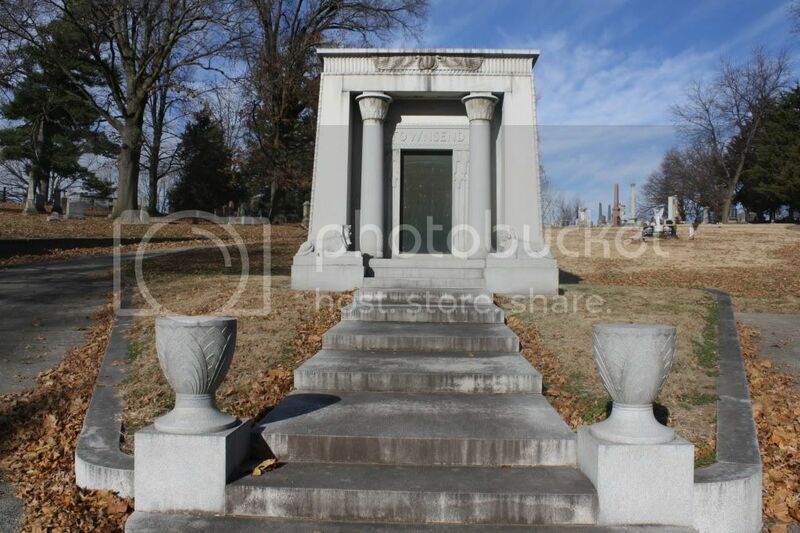 The little I know about Mount Mora is that it was once the fashionable cemetery of St Joseph, and was designed in the Rural Cemetery style, much like Bellefontaine Cemetery in St Louis. 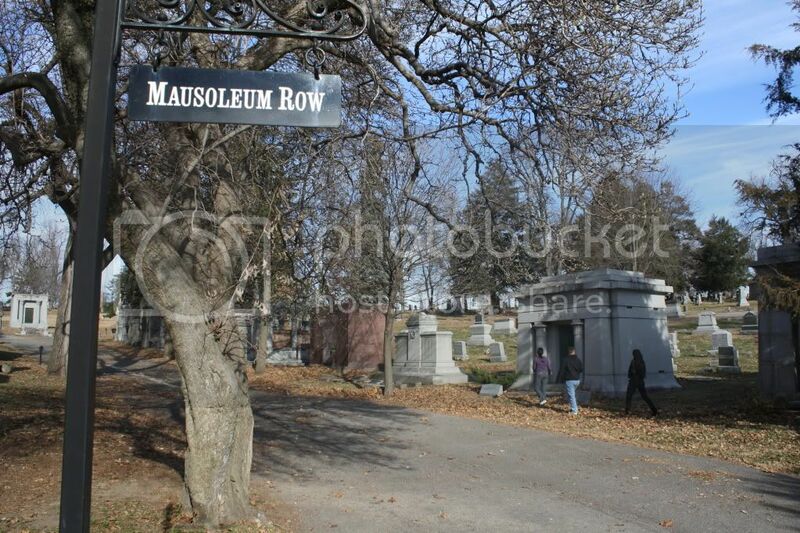 They, too, have a Mausoleum Row, though not as big as Bellefontaine. 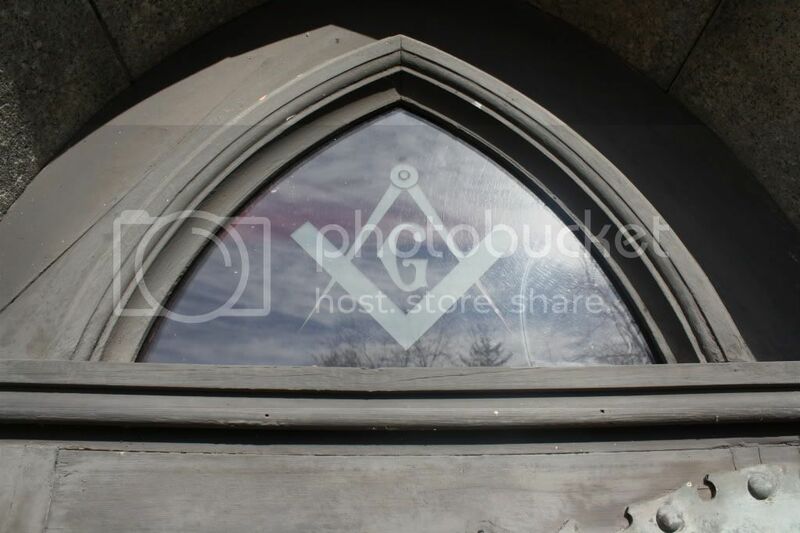 If you weren't previously aware, Keith and I are big fans of Masons, so we were really excited about this next one. I seem to remember that the four of us dreamed up some story about the light from the window hitting a certain spot and revealing some secret. 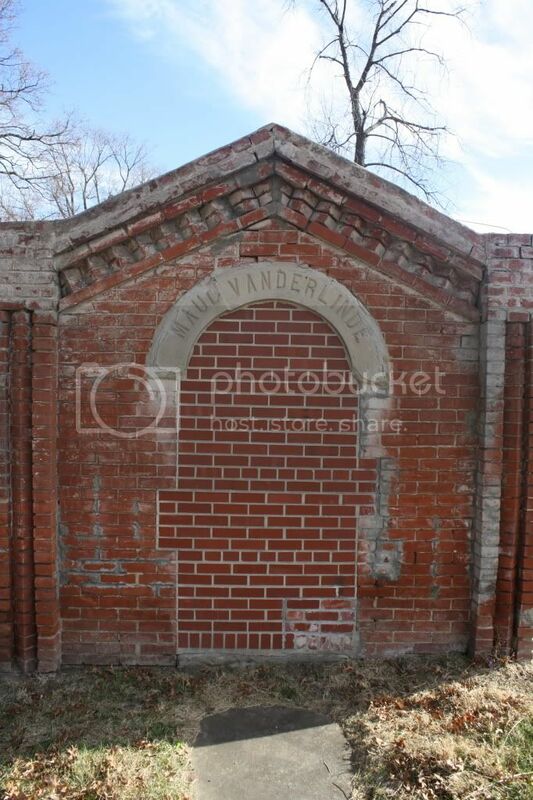 This red brick mausoleum of Maud Vanderlinde is the oldest in the cemetery. 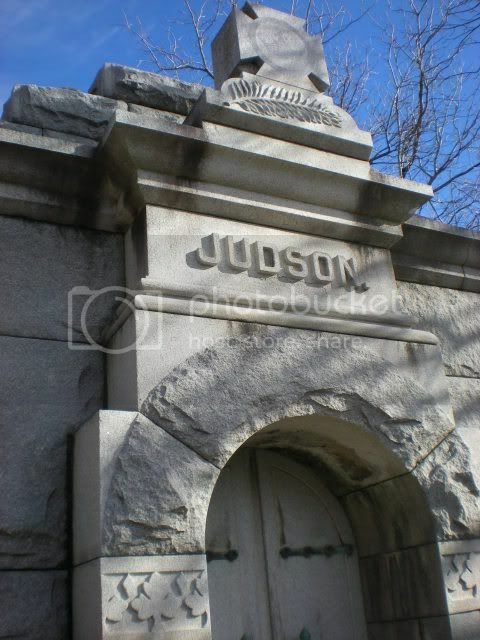 From the National Register of Historic Places registration for Mount Mora, "The wooden door and jamb, deteriorated over time to the point they were in danger of collapse, were removed and relocated to the interior and the entry bricked up with solid masonry... There is no access to the interior at this time. 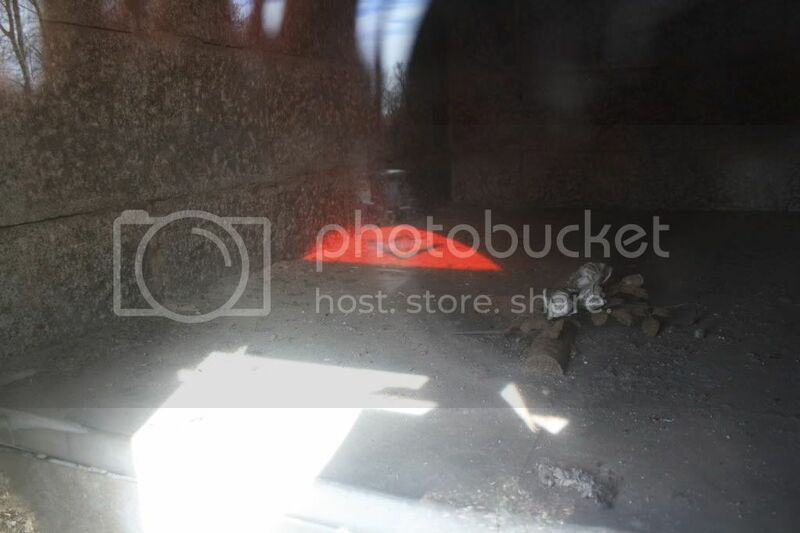 A digital camera dropped within the interior space shows an unembellished brick interior with two coffins on biers." 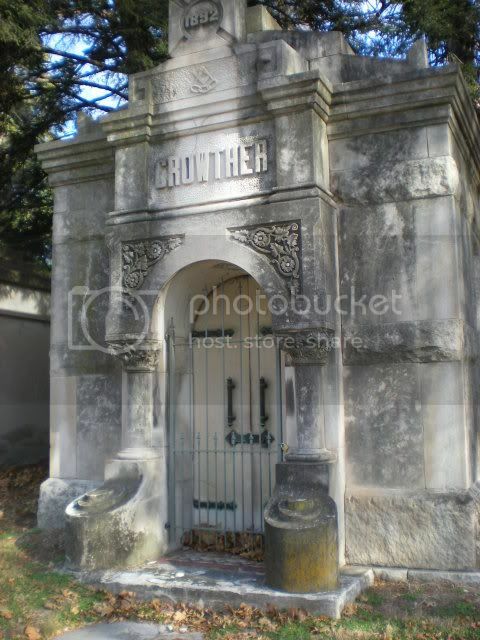 There are some intriguing urban legends online that say that Maud died in childbirth while traveling through St Joseph with her husband, and that he built this mausoleum by hand. 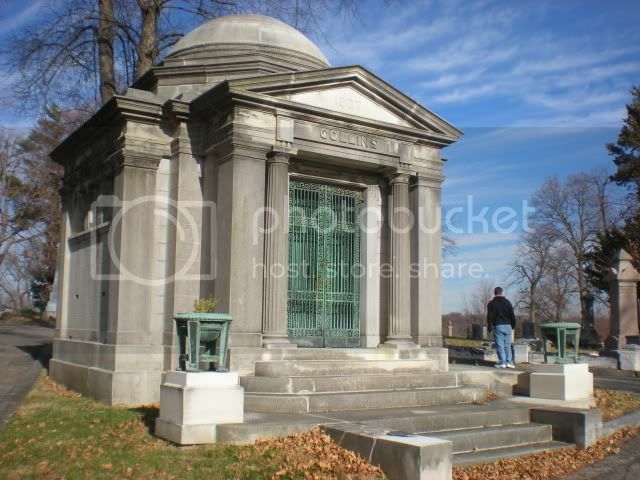 They also say that he may have had help from Native Americans preserving her body in a supernatural way, and people even say that before it was bricked up they SAW her body in the mausoleum, just laying on top of sawhorses or a bier, but as you can see from the NRHP registration, this is pretty unlikely. 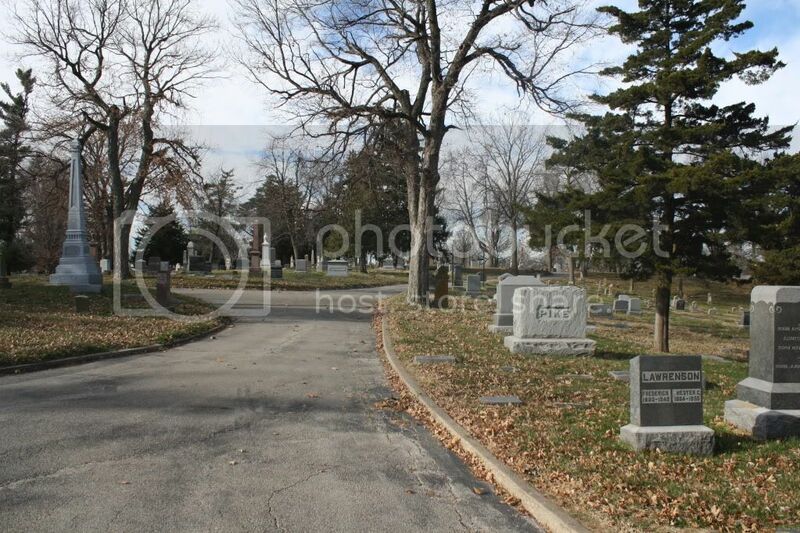 The Mount Mora website only says, "Once believed to have died in childbirth as she and her husband passed through St. Joseph on their way West, you’ll learn the equally poignant truth surrounding her demise." 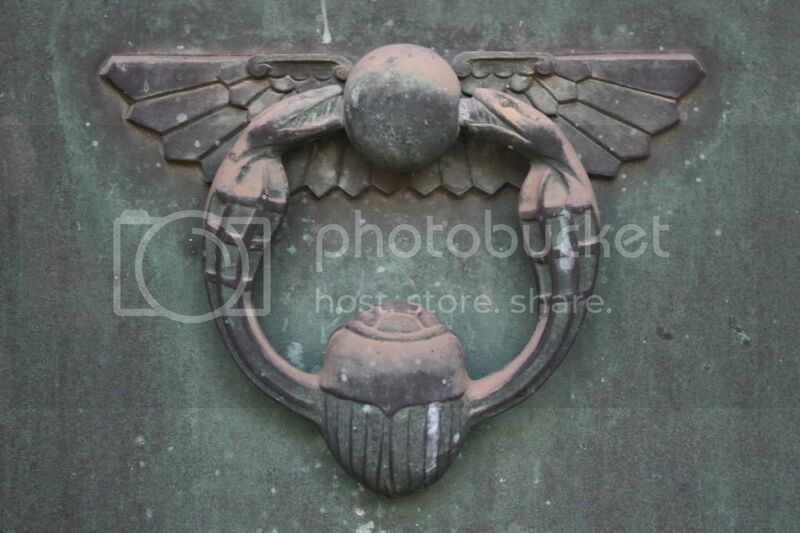 I have contacted the cemetery to get the scoop, and will post it on the Facebook page when I get an answer! 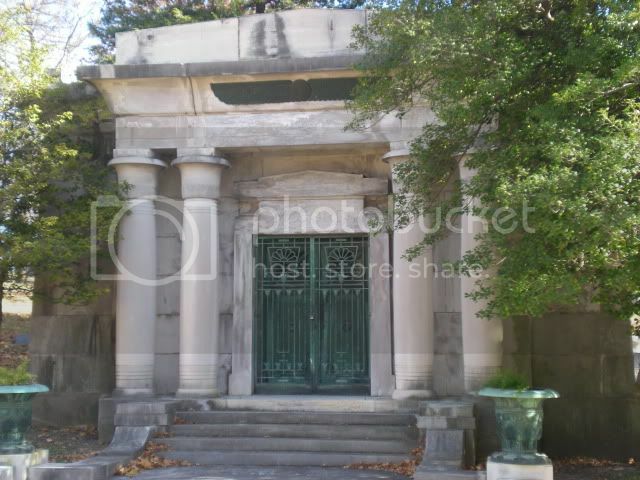 We came across a few of the notable burials of Mount Mora Cemetery, which you can read about on the history section of their website. 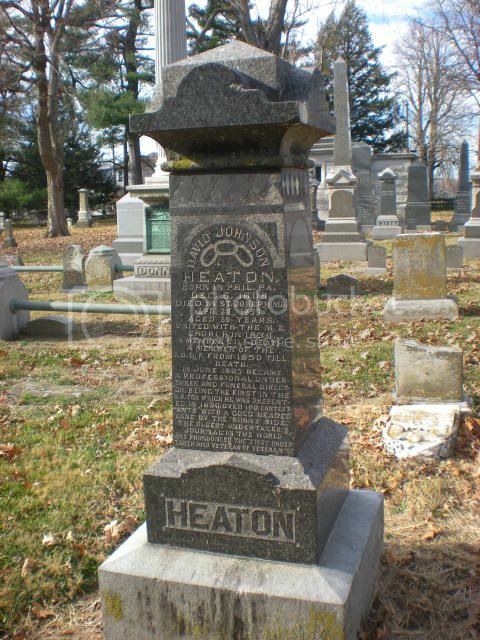 Above is David Johnson Heaton, first undertaker/funeral director in the United States (1826). 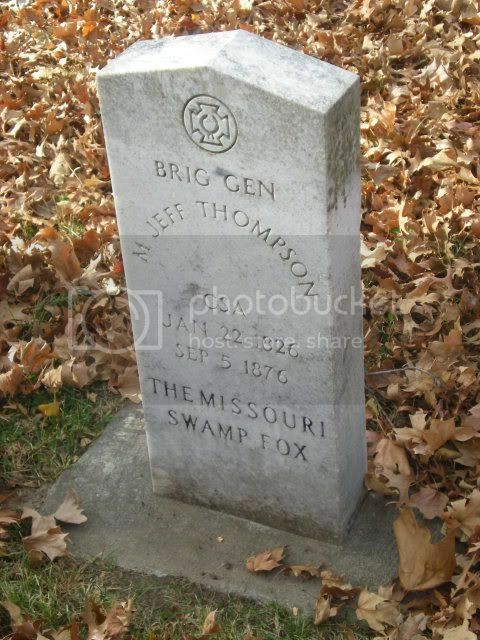 Brigadier General M Jeff Thompson, the Missouri Swamp Fox. Great nickname, eh? 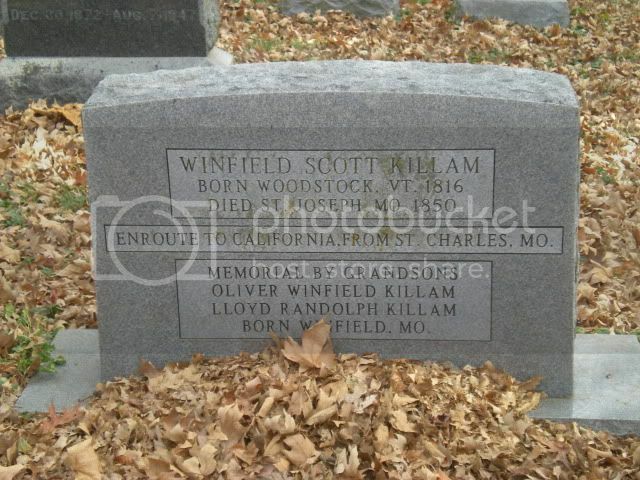 He was a Confederate leader who got his nickname from his skill at eluding the Union forces in the swamps of Missouri. 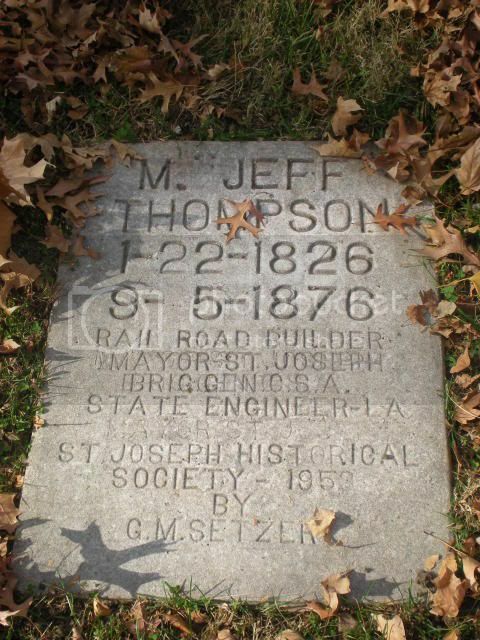 He was also mayor of St Joseph. 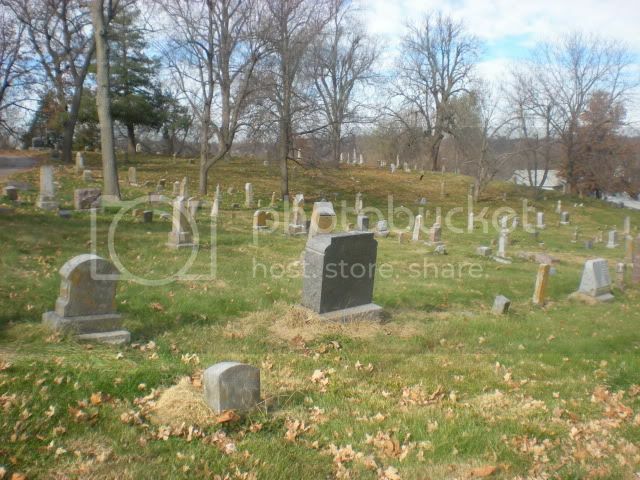 This next one is a prime example of the fact that I always think these cemetery posts will be quick and easy, and they never are. 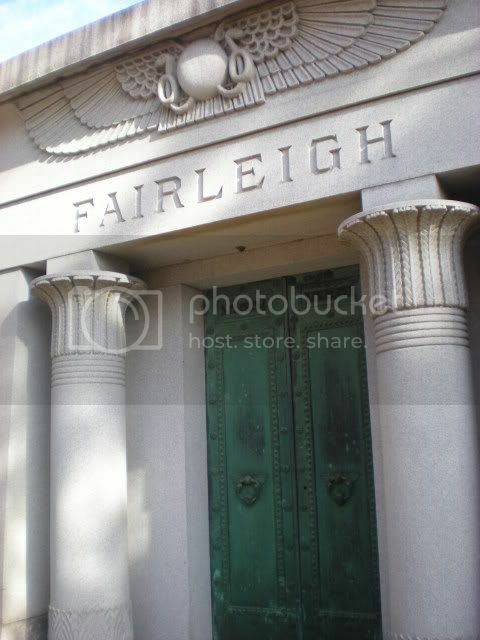 "Oh, I will just post some pictures of the great architecture in this cemetery... oooh, I wonder what the story is here? 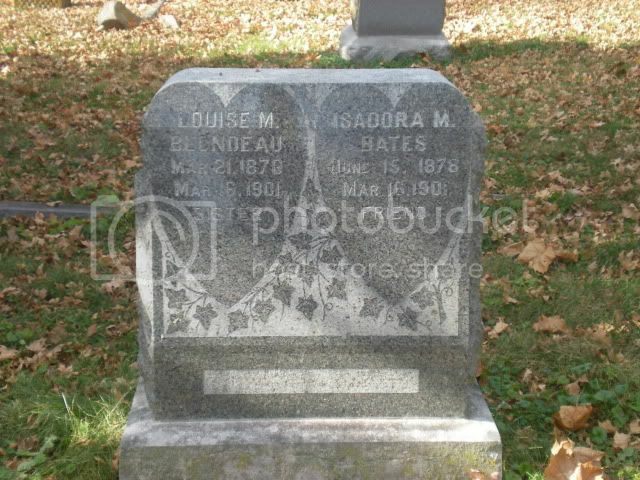 Sister and friend buried together with the same date of death? Very curious..."
Alas, my Google-fu returns nothing. That would probably require digging through a whole pile of microfiche in St Joseph. Maybe next time I get over to that side of the state. 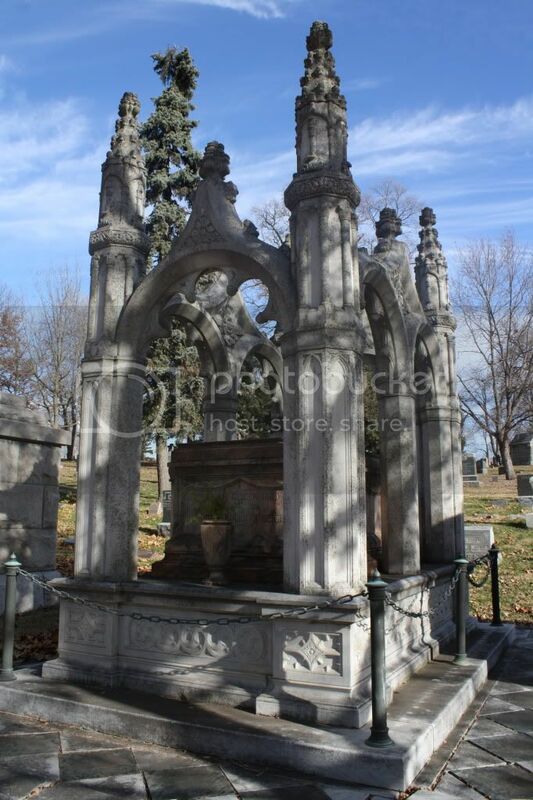 Geneologists: Please note that I live 300 miles from St Joe and cannot help you find Great Aunt Mildred. 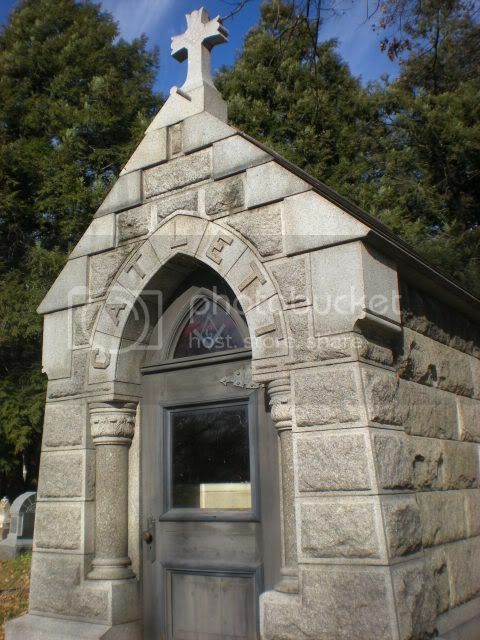 You can find contact and tour information at the Mount Mora Cemetery website.